The Selected Alternative, as approved in the Record of Decision, is shown in the map below. 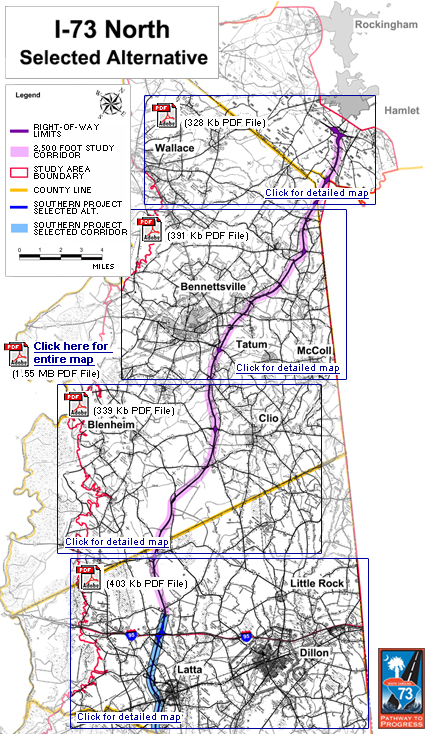 This map uses the County road maps in the Study Area. You may access detailed views of this map by clicking on the portion of this map in your area of interest.